If you are an iPad power user and always needing more juice when you are out and about, Veho’s new Pebble Smartskin might be worth a look. The new battery pack for your iPad will add a whooping 500 of standby to your device from its 6000mah together with 50 hrs audio and 7 hours video playback. 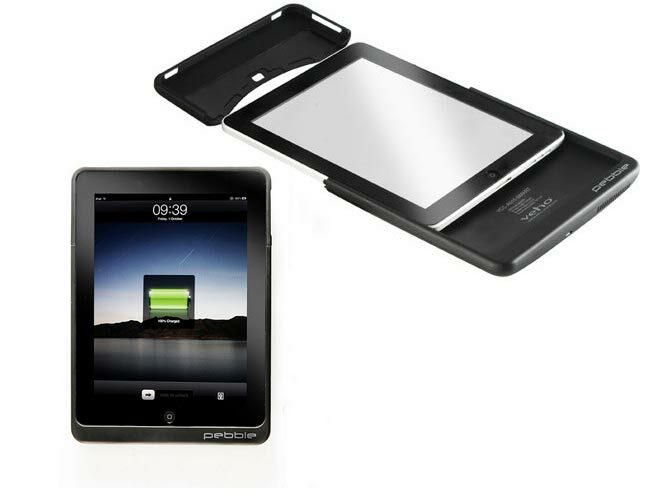 Not only does the device give you extra power the battery also provides a protective skin case for your iPad and has a handy neoprene sleeve that you can also creates an a convenient carry sleeve.